Go bananas trying to feed the monkey! This cute, but challenging game is fun for everyone! 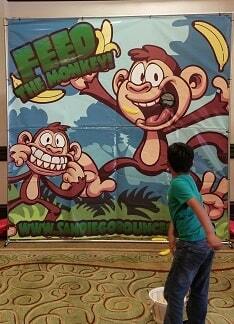 Toss plastic bananas at the hungry monkey and see how many he eats! Includes 10 bananas.